Start off by loading your ice reservoir to the fill line. Next, combine the tequila, Blue Curaçao, pineapple juice and margarita mix in your party machine's blender jar. Put the jar in place and turn your machine on. 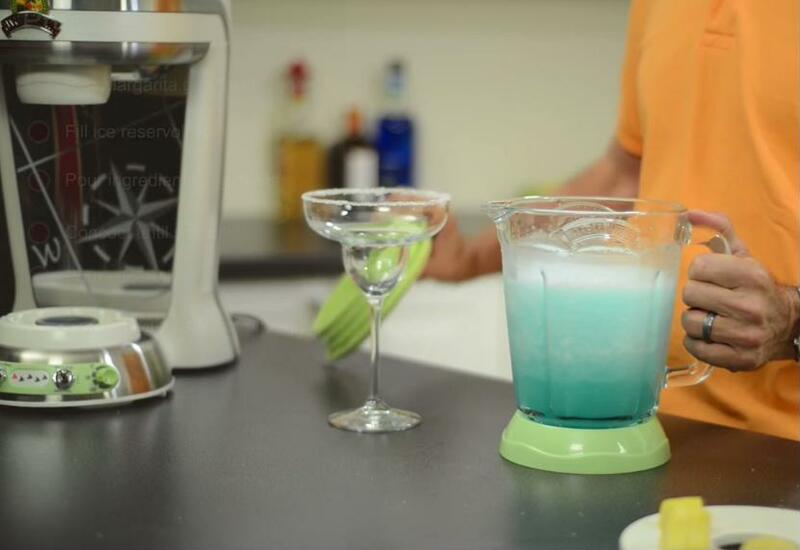 Watch as it shaves your ice and blends the perfect Blue Moon Margarita. You'll be left with a vibrant blue cocktail. Pour into margarita glasses with sugar-coated rims and serve to your fellow Parrotheads. Garnish with pineapple or orange wedges for a tropical flavor and contrasting color. Consider using a festive paper umbrella or maraschino cherry as well. Margaritaville® Cargo reminds you to enjoy your frozen concoctions responsibly and obey all drinking laws.